A big step for a young professional is moving out of a common house – either the parents’ home or a room shared with friends, to a more independent lifestyle. Getting one’s place can be a little tricky especially when one wishes to live a lifestyle that suits the daily routine of work while incorporating some elements of play in the space. 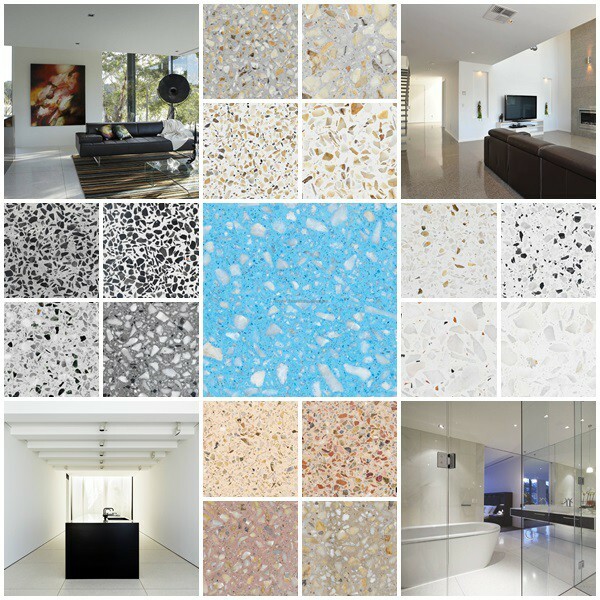 Terrazzo Australian Marble has been redefining spaces with their top-grade terrazzo tiles, giving every square foot a personality. Here’s how terrazzo can push solo living one level up from the common designs young professionals usually see and get in their first pad. One of the changes in lifestyle for young professionals living alone would be having to spend some time in the kitchen to prepare their meals. Getting the right “feel” for the kitchen makes this chore an exciting one. Precast Terrazzo can be the material of choice to dress up the kitchen top while making it easy to maintain. Given the continuous rising property value not just in Australia but globally, young professionals are sometimes limited to a small space for their first attempt in solo living. Using terrazzo tiles to divide the floor area into functional spaces is an approach used by many interior designers. Dividing the workspace from the living room helps these young professionals set the mood for work, especially these days when people are allowed the flexibility to work from home. Dividing space can also set the mind up for the tasks needed to be accomplished. For some young professionals, this area of the home may be seen as a basic necessity space which don’t need any dressing up. This is far from the truth. The toilet and bath area can be with personality by simply switching to the right colors of terrazzo tiles. With a luxurious finish and an array of colors to choose from, this flooring and wall material can make this basic space a kickstarter for the young professional’s mood for the day. Matching with the right furniture and lighting, Terrazzo can be a that piece of the interior design that’s worth investing in. Maintenance is easy while durability is unquestionable, characteristics that would surely benefit the young professional who’s establishing his lifestyle through solo living.